The first half of this year reported 32% of cyber-attacks, out of which only 8 % were by ransomware and rest of the attacks fell in crypto mining hot zone. As the number of attacks are growing in crypto mining, it clearly reflects cybercriminals are developing their taste in crypto mining. In this post, let’s check out how crypto mining is the next big threat after ransomware. Crypto Mining Is Replacing Ransomware? The attacks rising in crypto mining show the new taste of cybercriminals. According to sources, the total number of detected crypto miner is 28.9 million out of 300 million, which reflects that the unique crypto miner variants have raised from 93,750 to 127,000 from January to March 2018. Undoubtedly, in the past few years, ransomware has dominated the industry and always turns out to be the first choice of cybercriminals. One of the reasons that cyber-criminals prefer ransomware because it is a shortcut money-maker. However, after targeting the crypto mining, attackers find it to be an easier way to get to the source and mine cryptocurrency themselves. Unlike ransomware, in the crypto mining, there is no worry about the payment mode or how the victim would be paying. The victim doesn’t get any control of payment as the attack itself executes how much money needs to be processed. Blockchain can be mined for a longer duration, apart from the cyber attackers getting a single ransom amount. Users don’t need to be informed about the attack to pay the ransom money, so it can be performed constantly for life in secrecy. In the past few years ransomware has gained popularity and surged unconditionally. The common ransomware threats like NotPetya, WannaCry, and BadRabbit are some of the major threats which are not easy to forget. After these attacks, companies took major and effective decisions to ensure the security of the devices by offering powerful backups and decryption programs. Cyber attackers have now moved towards crypto mining, as it is the easy path and incredibly profitable with minimal effects. However, the latest pull in the cryptocurrencies value also drags the attention of cybercriminals into the Crypto Mining. According to sources, smartphones and internet loopholes have also enhanced the new vulnerabilities in early 2018. In fact, the Malicious crypto mining has identified the benefits of targeting the App Store of the mobile device with over billions of potential targets across the world. In early 2018, browser-based malware is on its peak and web browser has been considered majorly prone to malicious attacks. The malware of crypto mining has the capability of being active with the active web session. They can easily conceal themselves from standard security software because this crypto mining malware doesn’t do any suspicious activity that can drag user’s attention like accessing any attachment or download. Russia, Philippines, Mexico, Egypt, Iran, Indonesia, India, Nigeria, South Africa and Brazil are the countries that are highly affected by viruses, Trojans, and worms. Wherein, the countries that have a greater socioeconomic category that can obtain professional cyber-defenses are the countries that can regularly plague the greater number of app malware. 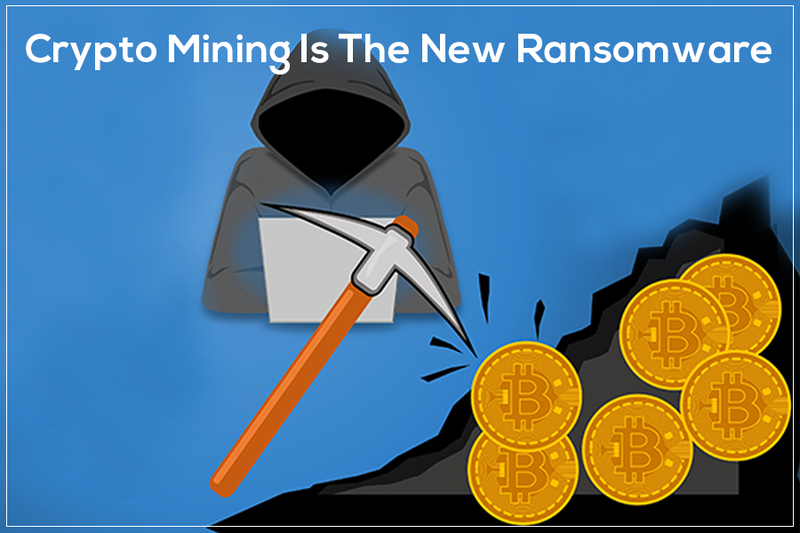 Undoubtedly, crypto mining is the next big threat after ransomware as it has more vulnerabilities and higher profitability as compared to ransomware. The constant attacks are growing percentage in the attacks shows that crypto mining is becoming a new threat for people.